BBC Radio: In a couple of weeks, we're going to be rebroadcasting a 10-year-old dramatization of Jane Austen's Mansfield Park. Rachael: That's nice. I don't really like Austen. I don't hate Austen, but she certainly isn't among my faves. 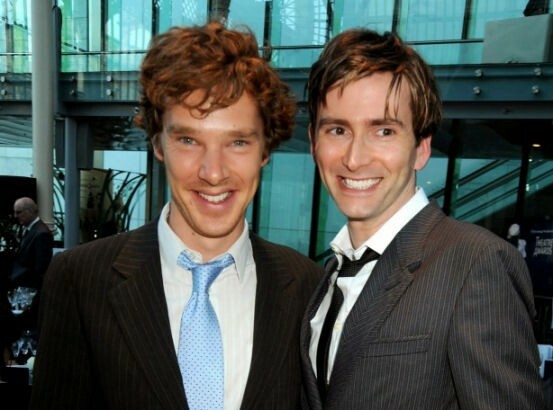 BBC Radio: Did we mention it has both David Tennant and Benedict Cumberbatch in it? BBC Radio: And that they play brothers? Rachael: OK. You win, BBC Radio. As ever, you win. The normal BBC radio post should be up today. Absolutely no later than tomorrow. I'm grading papers so that's why I'm behind at the moment. I bet whoever at the BBC remembered that one was in the archives is due a promotion! Also, it's kind of weird because I've scrolled through all the audio work on both their wikipedia pages, and this isn't listed for either of them. I know wikipedia is just random human editors and subject to massive errors, but pop culture credits is one of the categories of things it is usually pretty good at. I wonder if it is just a small enough role for each of them that they weren't majorly credited so it never came up in searches for their names. Hooray for BBC Radio and their ever winning ways!